A 1955 Aston Martin DB3S/104 has reduced its test track lap time thanks to some new brake linings from Mintex Classic, which will be officially launched at Goodwood Revival, as well as other work carried out by Blakney Motorsport. Mintex, which has been manufacturing brakes for more than 100 years and has a long-established reputation for aiding motorsport successes, has launched Mintex Classic to service the classic car market, both racing and road use, for pads and shoes. 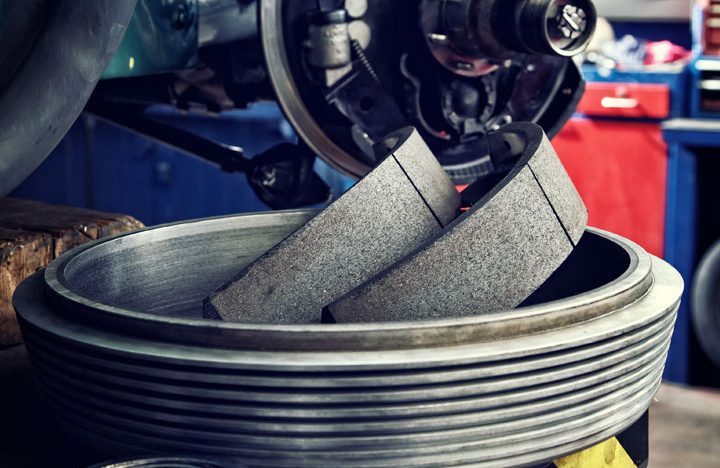 As the pioneer of the brake discs and pads that we know today, Mintex has extended its racing range to ensure parts are readily available on a wide range of classic cars including Ford, Jaguar, Aston Martin, Rover and Triumph. In addition, an exclusive bespoke service for more specialised cars will also be available. The 1955 Aston Martin DB3S/104, which is owned by Steve Boultbee Brooks, was one of the first cars to experience Mintex Classic’s bespoke service. The manufacturer’s team of experts worked closely with Steve and Blakney Motorsport to develop the perfect friction material for his car. In recent times finding a replacement shoe lining has been a struggle and the car had been using an extruded roll “industrial material” which has a relatively high rubber content to make it flexible. This, with the addition of shoe platforms that were too twisted and bent, had seriously impacted on the car’s braking performance, particularly during races where the car reaches up to 140 mph and brake temperatures are 400 Celsius plus. Mintex replaced the shoes and then completely relined the brakes using an advanced friction material. This not only more than doubled the car’s overall braking performance, but has also had a significant impact on Steve’s racing times, including a podium finish at the 73rd Goodwood Members’ Meeting. The brakes will use modern materials on historic back plates and platforms to refashion pads from the late 1950s and shoes from earlier, helping Mintex recreate a period of racing dominance. Mintex will be officially launching its Classic range and Classic racing range at Goodwood Revival this September with a selection of the products available to buy at the event. The range will also be sold online and distributed by Questmead, expert manufacturer and distributor of specialist racing products for the classic market.